All I wanted was a campy teen slasher book that’s reminiscent of those classic teen movies from the late ‘90s. Do we get that in There’s Someone Inside the House? It’s gory, but it’s not scary. Don’t expect this book to keeping your heart rate up. Makani Young has been exiled to the small boring town in Nebraska where her grandmother lives and where everybody is white for her senior year. As the school year begins, her classmates are murdered one by one by a crazed killer who could be a fellow classmate or a neighbor. In the midst of these killings, Makani grows closer to the pink-haired loner, Ollie, who she’s been nursing a crush on since the Summer, and she begins to worry about her secrets coming out. For the book to be more slasher, than romance. The thing I remembered most about this book is Makani and Ollie embarking on a relationship after clearing an misunderstanding and dealing with the killer terrorizing their high school. For there to be more suspense and confusion. I want my heart rate to go through the roof! I want to question everybody’s motives and actions. I want my head to be thoroughly messed up, not knowing who’s word to trust. I want to be misled. I felt none of those things when I read the book. To be thorough scared. I wasn’t. This book is not scary. I wasn’t peering over my shoulder. I didn’t get spooked at the sudden sounds in my house. It was gory, and I did cringe at how the killer killed his victims, but that’s the extent of the what you’ll find in a “scary” book. For the killer to have been revealed later on. The story got stagnant when the killer was revealed. The revelation of the killer wasn’t even impactful. I wanted to spend more time guessing who the killer could be. I wanted to trust no one. For the killer’s motives to be more flushed out. For more dynamics between all the classmates. I couldn’t connect with anybody, not even with Makani. If you’re expecting a scary slasher YA, There’s Someone Inside the House misses the mark. Should you read There’s Someone Inside Your House? Meh. 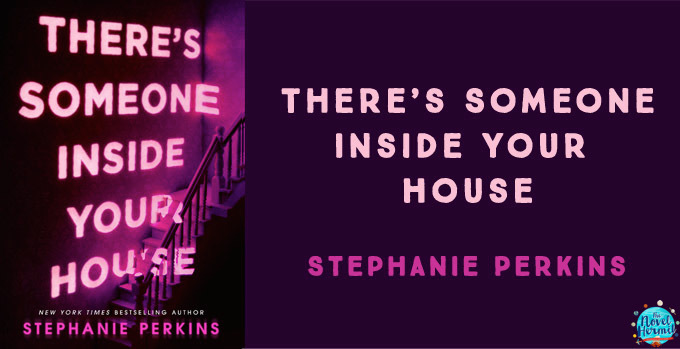 If you like Stephanie Perkins and want to see her writing contemporary slasher-esque book, go for it. Don’t pick up There’s Someone Inside Your House expected an ode to the classic teen slasher movies because you’ll be severely disappointed. Have you read There’s Someone Inside Your House? What did you think of it? If you haven’t read it, are you excited to? What is your favorite teen slasher movie? Ahh I’m sorry it dissapoint you! I do expect it to be some kind of slasher books, but now that you mention it, it seems more like a romance book with the killing as the secondary plot. At least now I know that and I can lower my expectations. Thanks for sharing Cee! I was disappointed by this as well :( There was waaaaayyyyy too much romance in this one! I thought SP was going to go in the opposite direction to AATFK and write a full on slasher novel. Alas.